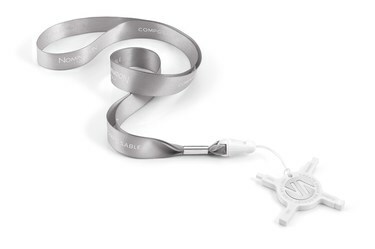 Create your unique Nomination charm bracelet with ease by using this official Nomination composable bracelet tool. It features four specifically designed tools to make link and charm fitting effortless. A must for all Nomination Charm enthusiasts! This was bought as part of a gift of a bracelet and 2 charms. The recipient wasn't sure what this was for - maybe a case of 'if you know, you know.. if you don't, it's confusing'. Maybe if it was marked in some way, or had a slip inside saying 'charm tool' it would have been clearer. She figured it out eventually though - so 5 stars as it does exactly what it's supposed to do! This is a must if you are buying individual charms. I struggled terribly at first and broke nails trying to get the charms to open as they are quite stiff, which is good in a way as it means they won't come off the bracelet. This little tool has different sized edges to help prize the charm open to link it onto the bracelet, it makes things so much easier until you get the hang of doing it yourself. So whichever sized charms you have for your bracelet, big or small, this is the gadget for you. This tool makes changing charms on the nomination bracelet so much easier. It can be done without one but you probably would lose all your nails. It can be used on several styles of bracelet. This is a brilliant and must have tool if you have a Nomination bracelet. It makes the addition and removal of charms so fast and easy. An effective and relatively cheap essential. Bought my sister a Nomination bracelet and found changing the links difficult. When I decided to get a bracelet for myself I knew this tool was a must. This little gadget has saved many broken fingernails ! Took me a few goes to work out how to use it but now it's easy. Quick delivery too. Fit for purpose, handy if you order charms online. Maybe meant for stores as it has a strap for wearing round your neck. I would be unable to remove or add charms to my nomination bracelet without this tool. Very handy and easy to use. A Great tool does what you need it to do. I couldn't do without this tool, charms are so easy to change, no more broken fingernails.